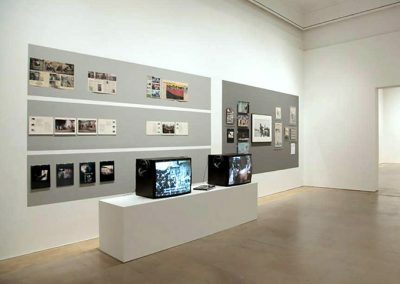 Artists: Manel Armengol, Art & Language, Jesús Atienza, Pilar Aymerich, Juli Azcunce, Carlo Bavagnoli, Bestué-Vives, Joseph Beuys, Brassaï, Marcelo Brodsky, Norbert Bunge, Lluis Casals, Jaume Codina, Colita, Eleanor Coppola, Pep Cunties, Czibor, Patricia Dauder, Carles Duran, Marguerite Duras, Pepe Encinas, Europa Press, Jacques Grandclaude, Ion Grigorescu, Harun Farocki, Christine Fischer-Defoy, Francis Ford Coppola, Bill Ganzel, Alberto García-Alix, Iñaki Garmendia, Hans Haacke, Manfred Haiduk, George Hickenlooper, Marine Hugonnier, Billy & Benno, Joaquín Jordà, Robert Koehler, Manolo Laguillo, Staffan Lamm, Dorothea Lange, Claude Lanzmann, Lars Laumann, Jürgen Lodemann, Kim Manresa, Jaume Maymó, Susan Meiselas, Nicholas Nixon, Xavier Oliva, Perejaume, Perez de Rozas, Xavier Ribas, Humberto Rivas, Marc Roig Blesa, Roberto Rossellini, Thomas Ruff, Allan Sekula, Sergio, Cindy Sherman, Llorenç Soler, Joan Francesc Solivelles, Eduardo Subias, Philippe Van Snick, Video Nou, Adolph Von Menzel, Madelon Vriesendrop, Peter Weiss, Andreas Wutz, Andrzej Zajaczkowski and Andrzej Chdakowski. Storing data from the past is not the same thing as being aware of the historicity of the human and articulating an expository discourse with face and eyes. 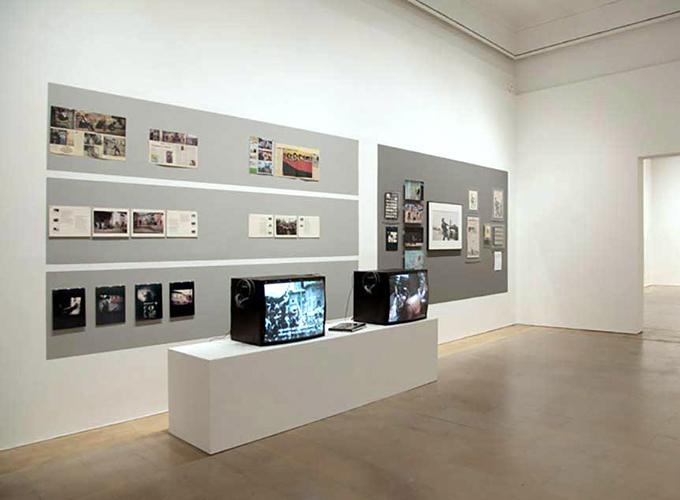 And that, precisely, is what Carles Guerra achieved with 1979. 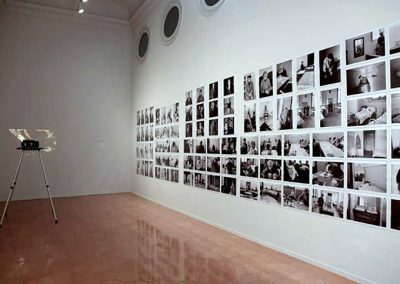 A monument to radical moments, the exhibition that it presents in the Palau de la Virreina and that puts at the disposal of the spectator a panoramic route and singularly heterogeneous on a series of historical events Which at first seem to share nothing more than the date but which each have in their context a significant common denominator: the change of attitude and mentality in the late capitalist world. It is a turning point which, not coincidentally, translates into revolutions of a different kind, political changes, massive strikes and all kinds of demands that manifest, in short, the dignity of the struggle against brutal power and the right to Freedom and justice. As often happens in research, Guerra shows a remarkable ability to locate and transmit relevant information without stopping at the trivial or succumbing to the accessory. 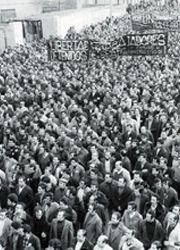 It opens the exhibition with the cover of a copy of the newspaper Ya, of December 30, 1978, announcing the dissolution of Las Cortes, the convocation of general elections and the entry into force of the Constitution, and does so to remind us, of good At first, that politics stains history. 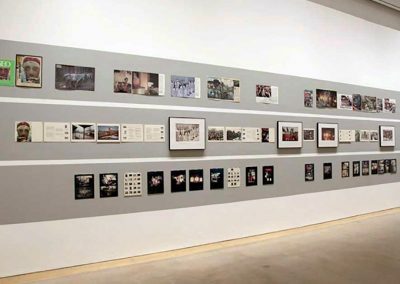 The revolutions in Nicaragua and Iran, the coming to power of Margaret Thatcher, the first municipal democratic order and the publication of Jean-François Lyotard’s The Postmodern Condition, among many other remarkable events, make up the history of 1979. 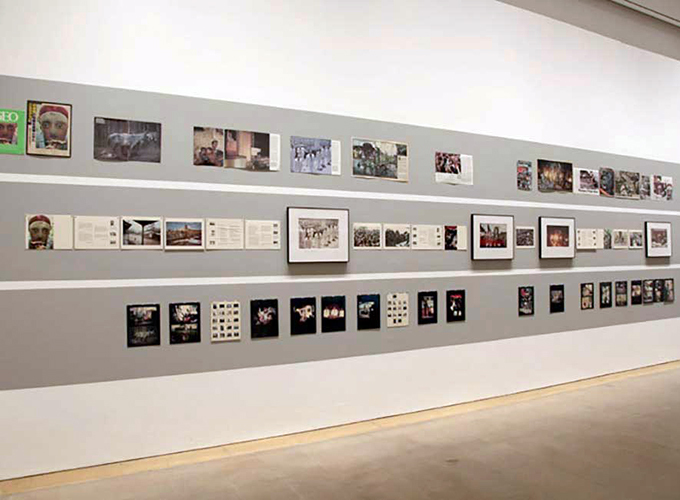 All of them episodes And events geographically remote, without political ties of causality, which, however, we end up reinterpreting in a unitary sense in the light of the aesthetics of resistance, the monumental novel by Peter Weiss and masterful proclamation against conformism, core of the exhibition.